One of the essential elements for a company to demonstrate that it respects human rights is to develop a due diligence procedure. The checklist is designed to help companies identity and assess their human rights risks when entering new markets or business relationships or renewing an existing contract. It creates a process of review and outlines some key questions that companies should consider raising as part of their human rights due diligence process and is based on legal due diligence principles. 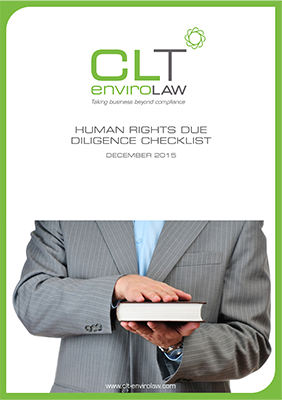 This guide also sets out the documents that should be reviewed as part of the due diligence process. This guide is also found in the Modern Slavery Act toolkit.